What I want most to share with you about my visit to Modesto though, is the story of a young man named Trevor. I was preparing for my talk Friday night, when I looked out of the back entrance to the church’s building facility and saw him sitting there, slightly around the corner. 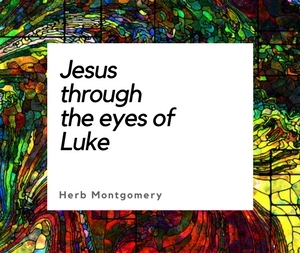 I thought about turning and walking away, but Jesus whispered, “No Herb. If you ignore him, this weekend you are nothing more than a hustler.” So, to make a long story short, I found myself a few moments later, sitting with Trevor, a thirty-something homeless man, originally from the Caribbean. He had spent his early years in orphanages before being brought to the United States to live in a “Christian” foster home whose primary concern was simply getting government subsidy for having a foster child. When Trevor turned 18, the funds stopped, as did his welcome in this family’s home. He had been on the streets for most of the last 20 years. When Trevor first saw me coming around the corner, I could see the fear in his eyes. At that, Trevor relaxed. He told me his story. Space doesn’t permit me here to share all the details; but I spent about 45 minutes with Trevor, laughing, crying, and just getting to know him. Before I left him, I offered some sort of help. “I don’t want your money, if that’s what you mean,” he blurted out. It seems the homeless and the poor are on God’s favorites list. It is a lie to say that if anyone simply works hard enough, he or she can be rich. The game is callously cruel to those who aren’t talented enough (or sometimes ruthless enough) to play by its rules. The game of supply and demand has not solved the problems of hunger, homelessness, and poverty. In many cases, it has made those problems worse. The great hope of the poor is not the economic systems of our world, designed to benefit the rich or pacify the poor; rather, the hope of the poor is Jesus and his Kingdom. Looking at his disciples, he said: “Blessed are you who are poor, for yours is the kingdom of God” (Luke 6.20). I don’t know if I actually did anything for Trevor that evening in Modesto. But I can tell you this: Trevor definitely did something for me. The poor are not a category or a label. They have names. They have stories. Jesus was born into abject poverty Himself; the poor are the very ones He named as His tribe. And we are with Jesus when we are with them. RHM is looking at significant ways to do more than just “teach”—ways by which we may be able to impact the poor among us. Please give us some feedback if you feel you would like to support this effort. (Maybe a few ideas and suggestions as well.) Let’s do something beautiful together for the Kingdom.